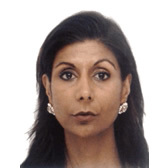 Sharonjeev has 20 years’ experience as a senior lawyer with wide ranging client experience in modern slavery and human rights work and also a commercial/corporate lawyer. She has worked as a corporate and commercial general counsel advising a number of different organisations on a broad range of matters in particular, regulatory matters (MSA 2015 and GDPR). Author of articles and papers regarding the MSA 2015 and impact on businesses and institutional investors. Trustee of The Medaille Trust and an international advocate for International Justice Mission. Sharon’s background in private practice, in-house and as a consultant general counsel has given her a breadth of exposure to differing management teams and methodologies and she has assisted on both legal matters and strategic planning for businesses. She is a strong communicator and can work autonomously and with all departments within industry. She has been described as a strong leader, strategic and with an abundance of common sense and tact.